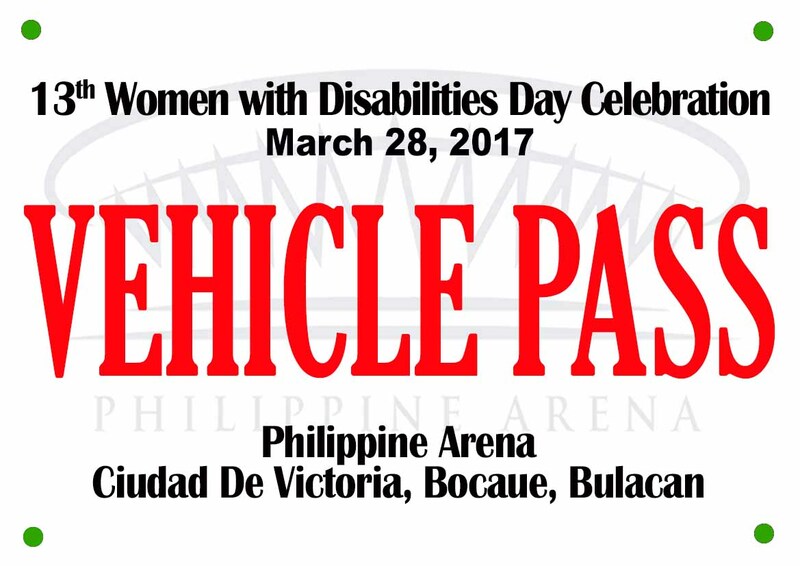 To all the members of the National Working Committee, NGAs, Local Government Units, CSOs, NGOs and other partner agencies, including those you have invited to attend the celebration of the Women with Disabilities Day on March 28, 2017, Philippine Arena, Bulacan. Kindly download the VEHICLE PASS attached below. This VEHICLE PASS will be placed on every vehicle you will be using on the said date.